Successful innovation is often the result of a co-operative partnership between large corporates, research institutes, academia and startups. Developing any new product, service or business model is difficult. Doing this in a partnership with organizations with different cultures is even more challenging. Teyi catalyzes these partnerships, bringing together partners with complementary knowhow and facilitating frictionless teamwork across cultural boundaries. Teyi is focused primarily on applying innovative technologies such as Internet of Things, Artificial Intelligence, Machine Learning, X Reality, Blockchain, Cloud and Analytics to address UN Sustainable Development Goals. One of the essential roles of the Innovation Strategy Forum is to organize events like the Designing a Desirable Future workshop held in Stockholm on 28 June 2018. At this event we gathered 14 top visionaries representing the business world, academia and the pubic sector to imagine what the desirable future might look like and what we need to do now to enable that future. What technologies will be needed? Which skills will be needed? And which regulatory frameworks do we need? To design this future the idea is to align all of the stakeholders, cooperating at a national level, corporate level and as individuals. One approach is to start with workshops like Designing a Desirable Future organized within each organization and with participants representing other organizations. By identifying the actions that will be needed at an early stage it will be easier to ensure that they happen in time. The future is not just waiting to happen, we need to steer progress to ensure that it moves in the right direction. If you are interested in more details about the key lessons learned in the Designing a Desirable Future workshop you can download a copy of the report here. We hope that this will inspire you to organize your own workshop. Don’t hesitate to contact us with feedback, questions or ideas. We would be happy to facilitate a similar workshop for you. Let’s work together to make our future a desirable one! Teyi has led the development of Innovation Essentials, a high-level framework for supporting cooperation between corporates and startups. This method was developed as a project for Urban ICT Arena and with the cooperation of Ivar Jacobson International. Copyright © 2018 Ivar Jacobson International and its licensors. Innovation Essentials is a collection of adaptive practices, consisting of guides and checklists in the form of digital cards. These guides help corporates and startups to build effective cooperative partnerships, developing new business models based on innovative market offerings. For more information contact: info@teyi.se. Cooperation between different types of organizations is demanding and there are many pitfalls. Teyi organizes kick-off workshops for new cooperation projects using Innovation Essentials as a framework to get you started on a successful innovation journey. How will all of the new emerging technologies impact the future of your organization? Teyi offers strategy workshops for the top management in organizations that want to start their journey towards a desirable future. Over a long period Teyi has built up a network of strong relationships within the Swedish startup community. Thanks to this network the company offers a brokering service to introduce compatible corporates and startups to each other at the most appropriate time. Since the company was founded, Teyi has built relationships and supported many startups around Europe. Startups have been helped in many different ways, depending on their specific needs. This support can be in packaging and pricing offers, building a solid business model, developing product and company pitches, rehearsing company and product pitches, developing go-to-market or go-to-funding strategies and client introductions around Europe. To learn more about our services, please send an email to: services@teyi.se. In collaboration with Saab and Combitech, Teyi arranges a meeting with focus on Cyber Security for ISF. Cyber security threats affects us all. In recent years, healthcare, manufacturing, finance, governments as well as media are reporting high numbers of cyber attacks,. Reality is that organisations in all sectors that use networks can be targeted for customer data, corporate espionage or cyber attacks. The US government alone spends nearly $20 billion per year on cyber security but the number of cyber attacks still continue to grow. What is being done in Sweden? How should we defend computers, servers, mobile devices, electronic systems, networks and data from malicious attacks? We are proud to have top experts in cyber security from Saab, Combitech, The Internet Infrastructure Foundation, Swedish Armed Forces, Yobany, Truesec and KnowIT as our speakers this evening. The ISF network has been invited to Siemens Nordics for an evening focused on Additive Manufacturing (AM). AM is not a new phenomenon. Thanks to 3D printers and related manufacturing methods, in combination with digitalisation and emerging technologies, there is lots of hype around additive manufacturing. To be able to manufacture a single unit of a product designed according to customer needs creates huge advantages and flexibility in production as well as possible cost savings. This technology opens up the opportunity for a product to be engineered in one location and sent to be printed anywhere in the world. Manufacturing products directly in response to customer needs reduce logistics and warehousing costs. Will this technology also mean that we can shift back production of prototypes to Sweden? Allowing us to have better control of our innovations? Brilliant speakers from Siemens, RISE, Sandvik Additive Manufacturing, Produktion2030, Arcam EBM and AMEXCI with expert knowledge in this domain will be on stage. Avega Group is hosting this Innovation Strategy Forum event at their office in the midst of Sturegallerian. We will focus on business and growth models to scale our innovations. How can we improve the results of our co-creation pilots to include commercial success? How do we keep ownership of high potential innovations in Sweden with clients all over the world? 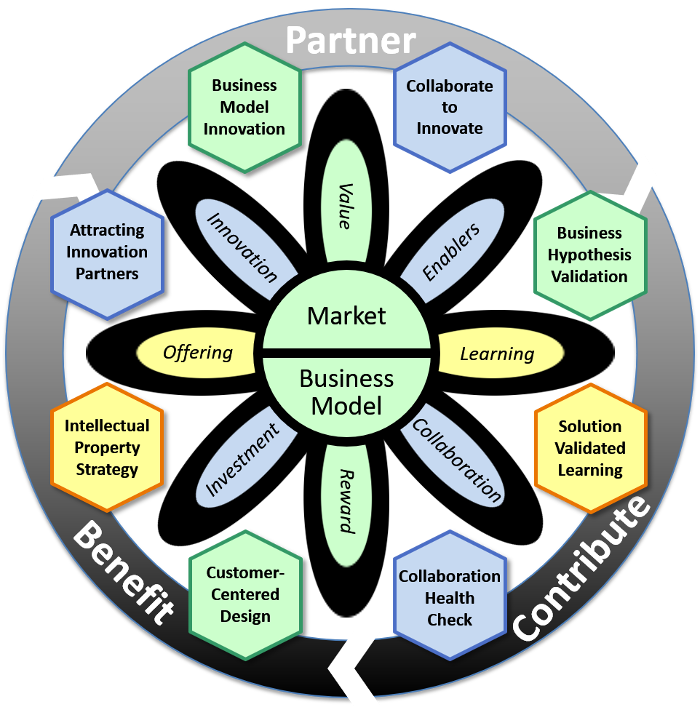 What is needed to have the best innovation ecosystem in the world? The speakers have been carefully selected to provide a broad and complementary set of important knowledge of what it takes to succeed all the way and get ROI of innovation investments. We have representatives from Avega Group, Vinnova, Ministry of Enterprise and Innovation, KTH, RISE, Vattenfall, Assa Abloy, Ericsson, Nordea and Combiner. Tele2 has invited the ISF network to their headquarters in Kista for a super interesting peak into the future. The fate of information technology in the 21st century will depend on quantum computing. China and US are competing to win this race. Europe has recently woken and new initiatives are starting up. The dramatically increased computing power offers lots of opportunities but will also pose threats to the modern cryptography system. How will this impact our organisations and how should we prepare to protect ourselves? In this meeting, we will learn essential information about quantum technology, who the key global players are, what is currently being done in Sweden as well as ideas of how to prepare for this disruption. We have gathered experts and front runners from all over Sweden to share their activities around quantum technology with us. So much is happening in and around healthcare. We have all heard that thanks to technology we may be able to extend our lives to 150+ years in the near future. Bio sensors will continuously check our bodies and alert us if something is not looking good long before we get problems. Computers will find cures to many different health issues that currently shorten our lives. We will be able to exchange all kinds of body parts when they are worn out and thereby further extend our lives. In this meeting, we will learn what we should do to take care of our bodies in the best possible way to live healthy and happier lives, but also listen to some of the latest technology innovations in this space. Our amazing speakers include Christian Lunden (Nordic Choice Hotels), Mai-Lis Hellenius (KI), Daniel Forslund (SLL), Katarina Attebrant (IBM), Gerard de Bourbon Ponce de Leon (Tele2), Malin Parkler (Pfizer), Magnus Björsne (AZ BioVentureHub), Petra Sommarlund (Rise), Erik Gatenholm (CELLINK) and Hannes Sjöblad (Singularity University Nordic). Nordic Choice Hotels has invited us to one of their fantastic hotels in the heart of Stockholm and will generously sponsor drinks and a light buffé. We have had several meetings with Innovation Strategy Forum (ISF) with focus on different disruptive technologies such as IoT, AI, ML, cyber security, nano technologies, block chain etc. We can see that we are in the early stage of very big change – exciting but possibly also a bit scary. How can we best use these technologies to create a world and future that we all want to live in? What do we need to secure and how do we best prepare? Teyi is organising a workshop for a smaller number of the most influential and knowledgeable people in disruptive technologies from Vattenfall, Sandvik, ABB, Rise, Nordic Choice Hotels, Microsoft, IBM, HM, Tele2, Bisnode, Ministry of Enterprise and Innovation, KTH and Tieto. The workshop will include creative discussions, stimulating exercises and a focus on maybe the most important subject ever: Our Future. The event is generously hosted by Vattenfall at their headquarters in Solna, Stockholm. Since the Innovation Strategy Forum was founded in 2015, we have had meetings which focus on different disruptive technologies such as IoT, AI, ML, cyber security, nanotechnologies and blockchain. In a workshop called “Designing a Desirable Future”, we brought together visionaries from the business world, academia and the public sector to discuss how we can best use these technologies to create a world and future that we all want to live in. To summarize the key ideas that were discussed in the workshop, we have written a report that can be used as inspiration for continued discussion. It includes an executive summary, prioritized key elements of a desirable future, enabling technologies, gaps, barriers and some ideas of what we need to do know in order to secure our future. Sweden has a long tradition of industrial innovation and has now also become a leading powerhouse for tech startups. Many of these startups are already very successful but there are some ways to improve the economic outcome that we are only starting to explore. In Corporate Innovation Powered by Startups the authors argue that one approach to boosting the return from innovation is to further encourage cooperation between corporates and startups, combining the scaling expertise and muscles of established companies with the creativity and agility of the startup community. Based on in-depth interviews with 100+ people from corporates, startups, investors, authorities and other stakeholders, the report analyzes the Swedish startup landscape and presents six different models for corporate-startup cooperation, sharing best practices from real-life case studies.